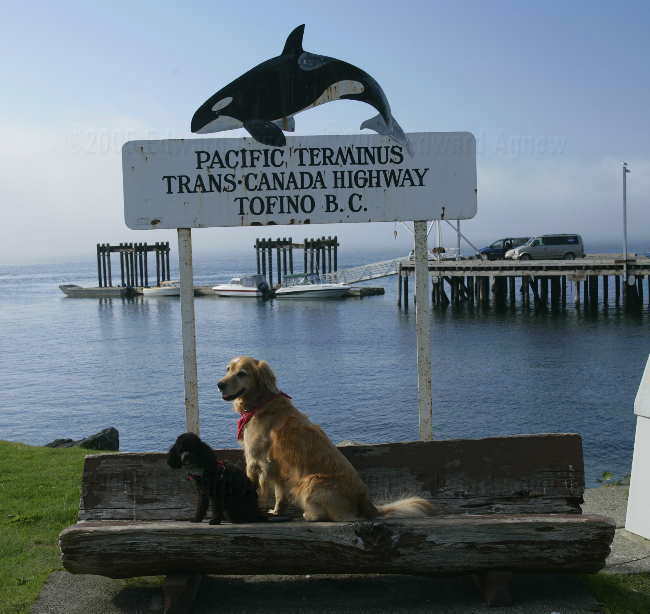 Over the years our friends Jack and Lori have told us how wonderful Ucluelet and Tofino are that it was a must to visit these two towns and the Pacific Rim National Park. So, finally we are there. 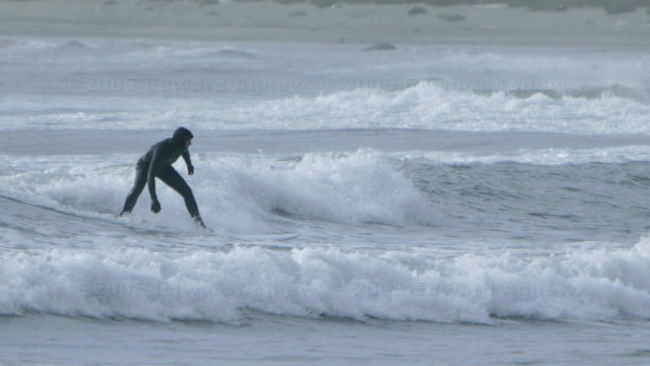 Ucluelet and Tofino are about 40km apart separated by the Pacific Rim National Park. And if the name of the park doesn’t give it away it, they are both on the Pacific Ocean. We found an RV park that advertised a hot tub, was between the two towns and was advertising a price of $20 a night for any type of site. How could we resist? — We didn’t! When we checked into the campground, Colin was told to not leave Splash alone outside and both guys were told to not leave any food / pet bowls outside as there are cougars, wolves and bears in the area. Hmmm there are berry bushes around the campsites. The only issue was a very narrow twisty road in the campground, score: park 1, trailer 0, lost an awing support and there are a few scratches down the starboard side. 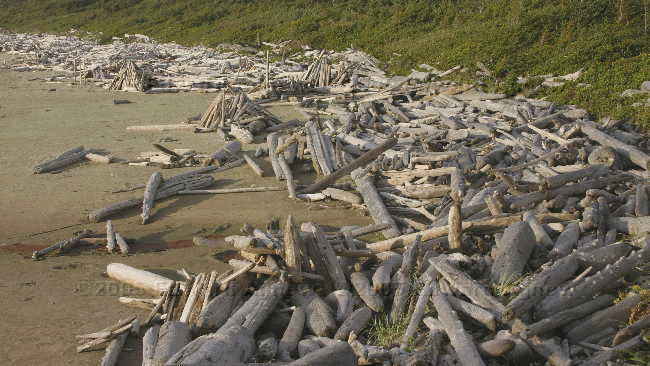 We were surprised to hear that the national park’s campground was full and the $50 a night private campgrounds in Tofino (okay they’re right on the beach) were also full. Oh, well ours is nice and affordable. After settling in, we decided to take a drive to Tofino. What a cute little town — not as touristy as we thought. There was a nice harbour, some cute shops and lots and lots of restaurants. We stopped at the crab shack down on the dock in hopes to pick up a few crabs for dinner but unfortunately no one was there – it was Sunday after all. On the drive back we stopped at Radar Hill which was suppose to be a scenic lookout over the area. I don’t think the person who wrote the literature has been there for awhile. The trees have grown so it’s not quite so scenic anymore. We also decided to stop at the Wickaninnish Restaurant in the park . When we turned down the road we saw a couple of cute black rear ends disappear into the bush (bears). The restaurant and centre are on an absolutely beautiful beach and there must have been at least 20 surfers in the water. Colin said the waves weren’t that high (but he’s been to Hawaii and Panama City Florida) — I thought they were more than high enough. The restaurant looked very nice, windows on three side overlooking the ocean. It would be a beautiful setting to have a meal in — don’t know if we will though, prices are a bit high. Returning to the campground we had supper then sat in the outdoor hot tub.... very, very nice. 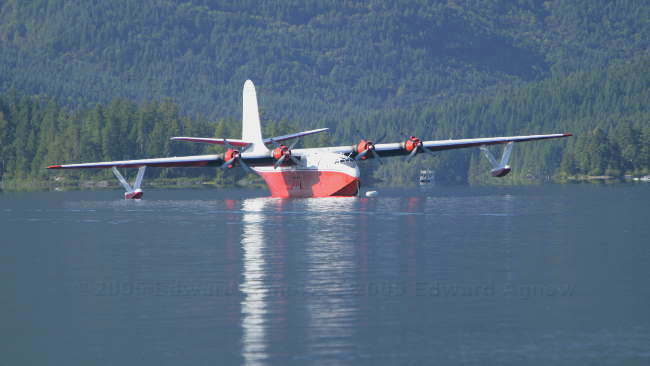 This plane is a water bomber used in fighting forest fires. 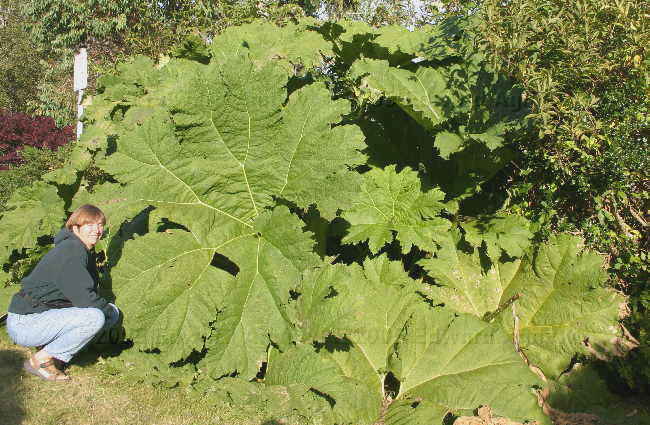 Now that's a big leaf.